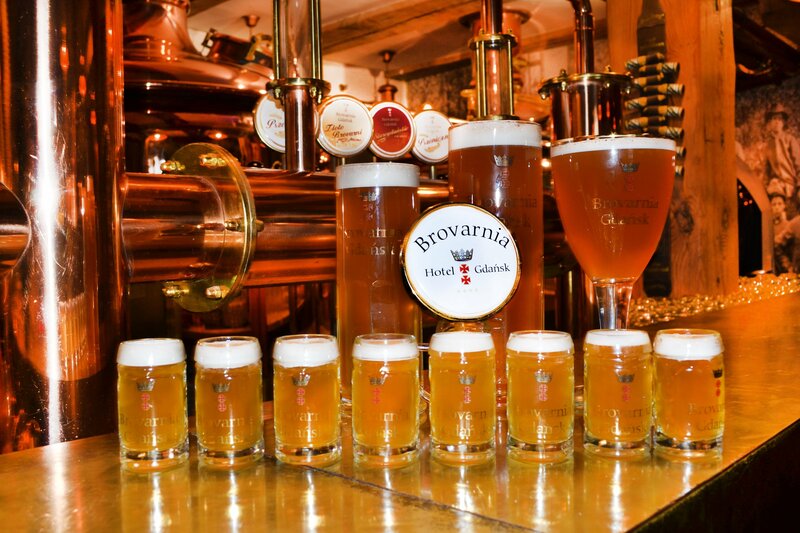 True beers, since hundreds of years, are made out of hop, malt, water and yeast. Among the true beers, one may find the icons of world’s brewing traditions, that require excellent components and great brewer craftsmanship. This is how our Lager beer comes into existence. 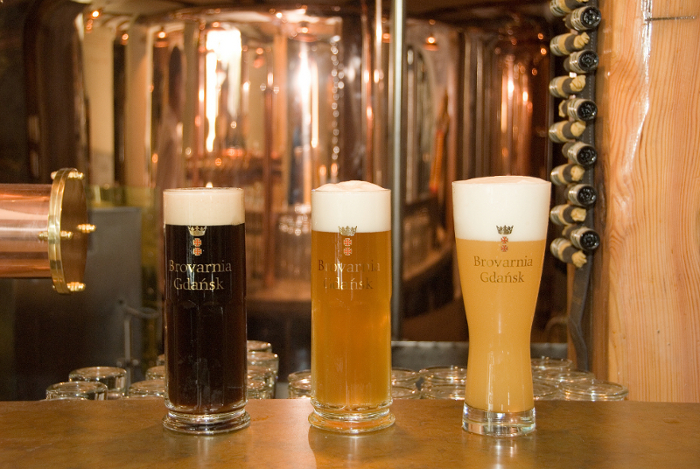 The four basic components give the beer some features, that apply only to the true beers. Barley malt, the body of the beer, delivers a full taste and delicate caramel – honey flavors. Hop, the soul, gives it a mature, perfectly balanced bitterness and aroma. Water is its character. Thanks to its quality, this beer has a crystal clear taste and a perfect balance between all its features. Yeast stands for life, responsible for the pleasant fizz while pouring the beer and the numerous flavor notes, which create an aroma symphony. Our Lager beer is seemingly a simple and strong beer, though it may be discovered in numerous ways. The clear bitterness makes it a perfect appetite stimulating aperitif, as well as a great addition to meat dishes. It makes the taste of meaty dishes, like ribs or knuckle, last longer. Every sip of this beer rinses the tongue, preparing it for new sensations and refreshing the taste buds, while the long bitter finish perfectly crowns the feast. Dark beers are often associated with a sweet taste and aroma. Our Schwarzbier definitely breaks out of this scheme. Its strength lays in the multidimension and complexity of the taste and scent. Schwarzbier is made of dark, roasted malts. That gives the beer its caramel and dark chocolate aroma, but also the scent of roasted gentian, which refreshes the senses like a good coffee. The secret of the complex taste of this beer is the combination of sweet chocolate, nut and caramel notes with clear dry accords of dark bread and freshly roasted coffee. While dinking Schwarzbier, we experience a true taste evolution, starting with a delicate introduction, through a clear development and with a strong finish. Thanks to this unique taste – aroma relations, Schwarzbier makes the perfect dessert beer, that accompanies chocolate cakes and ice cream, but also crowns the meal very well by itself. The dark side of its aroma allows it to also underline the taste of heavy sauces, duck with aples or grilled meats. 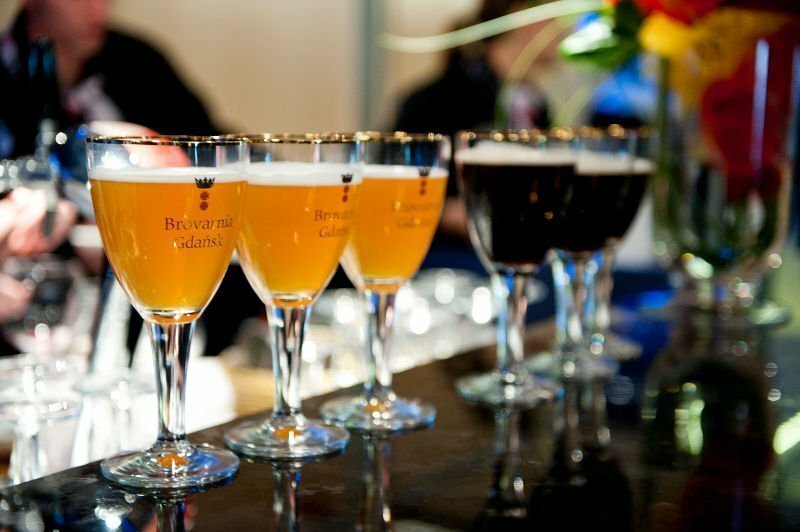 Brovarnia Wheat Beer is a unique beer style, that combines key features of the perfect beer. Thanks to wheat malts and the upper fermentation technology, the beer distinguishes itself with an extraordinary original aroma bouquet. Fruits, clove and delicate hop scents make the beer refreshing and satisfying for the senses. The slight sparkling aeration combined with a clear tart aftertaste, makes our Wheat Beer an ideal drink during summer heats, but it also very well underlines the taste of dishes with delicate, complex flavors. By serving the beer with fish, we add a light, fresh sourness to the dish, while poultry accompanied by this beer, develops a delicate herbal aroma. 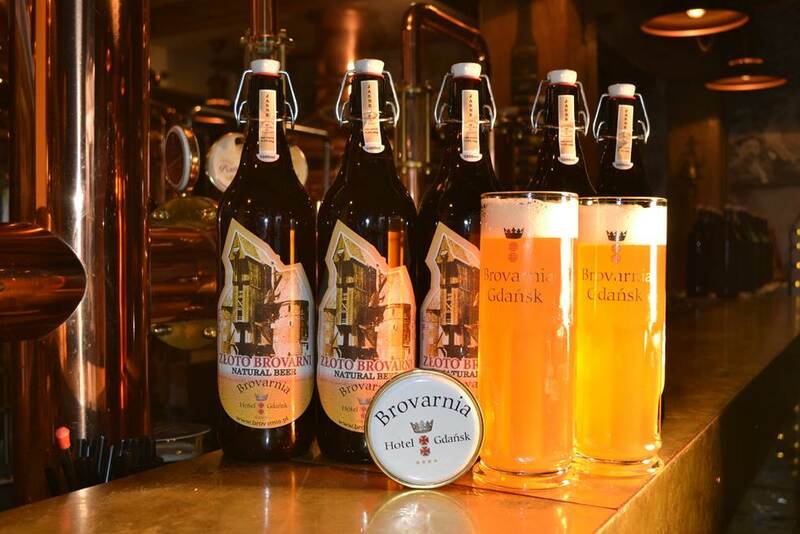 Brovarnia Wheat Beer also goes very well with light sauces and salads with fresh vegetables. According to a Bavarian tradition, this beer style may be served for breakfast, intensifying the taste of croissants an boiled sausages. 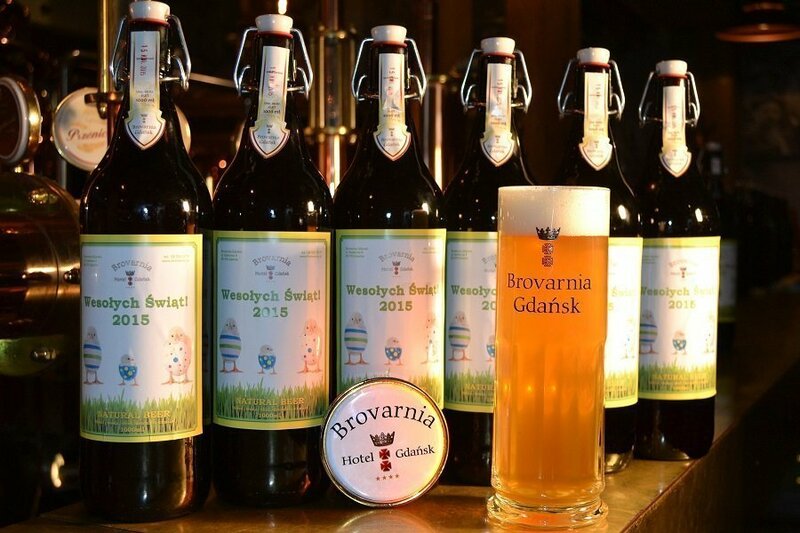 AIPA is an absolutely new and unique beer brewed in Brovarnia Gdańsk. 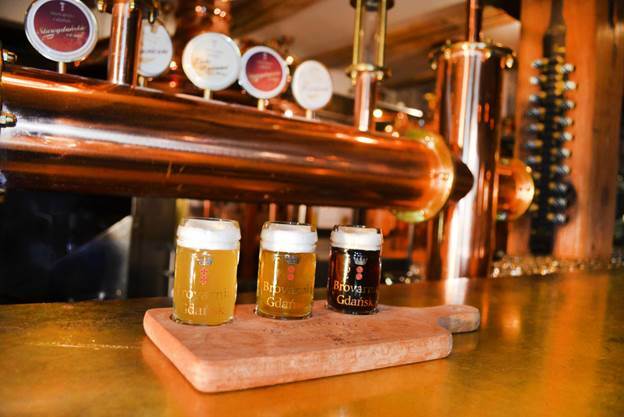 It was the first time, that it has been brewed in a restaurant brewery in Poland, second time in the country. AIPA is a beer with the highest content of hop in the history of brewing. To achieve such aroma and bitterness, the Brovarnia Gdańsk brewer used as many as 5 kinds of hop: citra, simcoe, chinook, tomahawk, willamette. 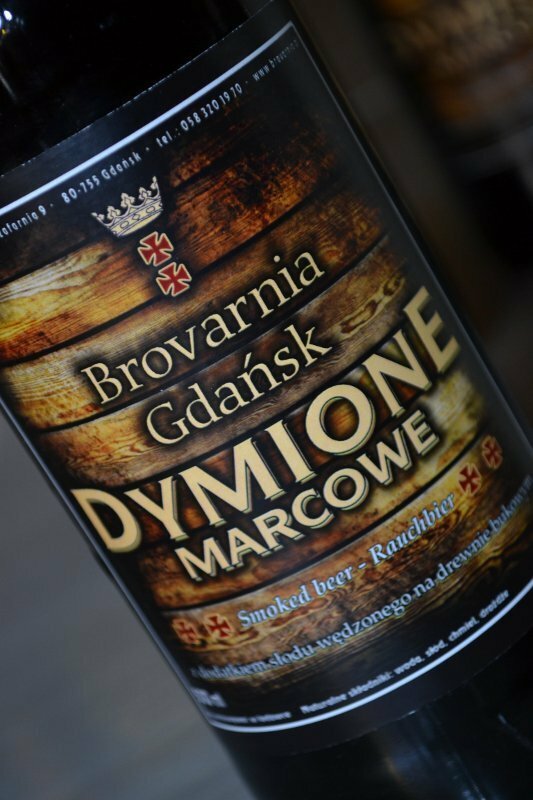 “Dymione” (“Smoked beer”) is with certainty most alike the beers brewed in Gdansk a few centuries ago. 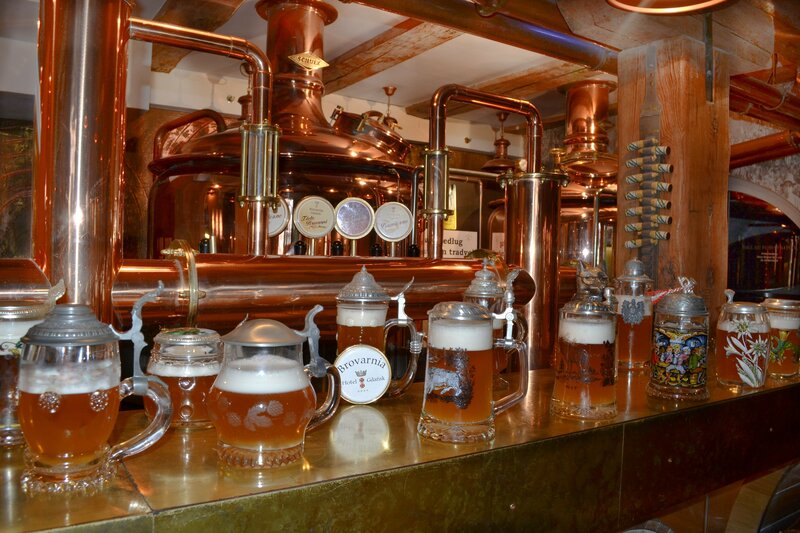 Rauchbier beers, like “Dymione”, have a strong smoked character. They taste as if made from water, in which smoked ham has been soaked. This style derives from the times when malts used for beer production were dried above wooden hearths. During the drying process, the smoke went also through the malt, changing its taste. Nowadays only few breweries use this process intentionally. 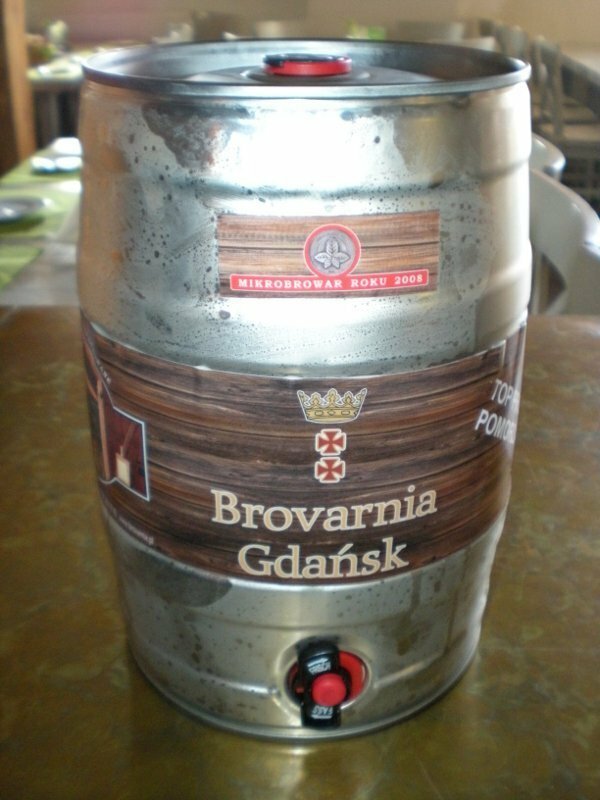 “Dymione” is brewed in Brovarnia Gdańsk usually around March. 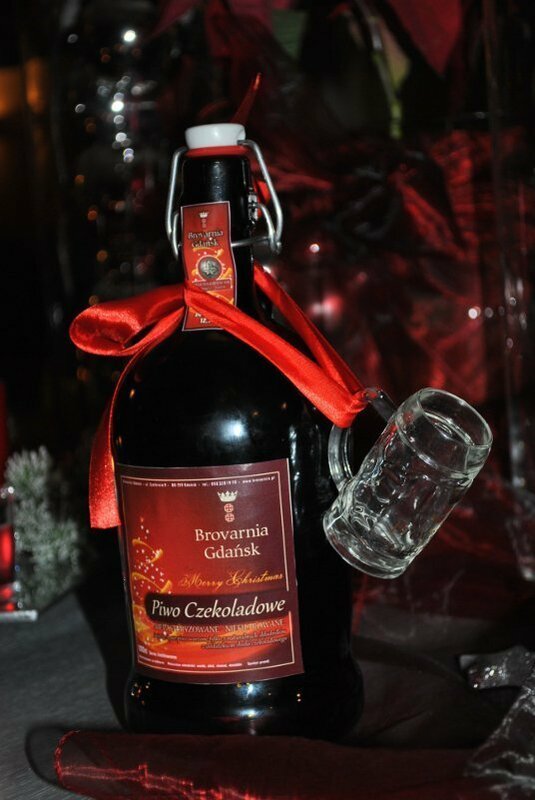 Christmas Chocolate beer is a dark beer with a strongly underlined chocolate and caramel note. 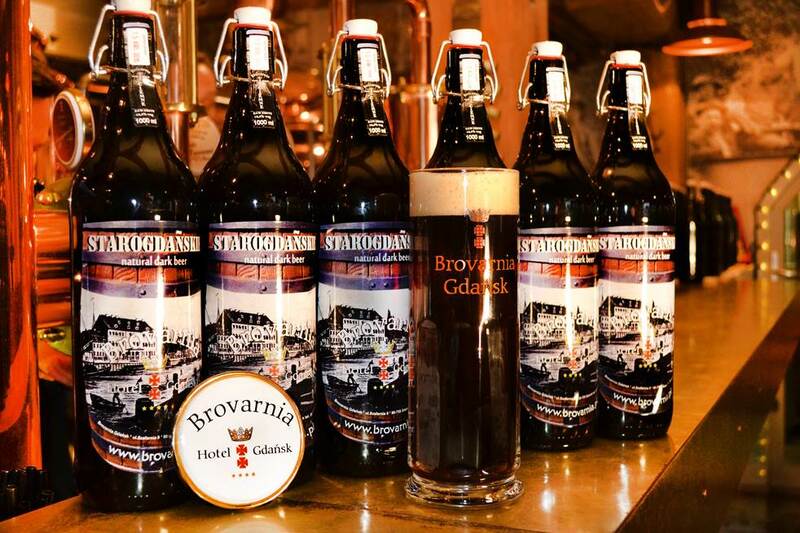 It is a variation of our dark beer, available in Brovarnia Gdańsk through the whole year. The Chocolate beer is made with use of special malts. Instead of the smoked malt we use roasted caramel malts, which bring out the flavors of dark chocolate, coffee and whole grain bread in the beer. 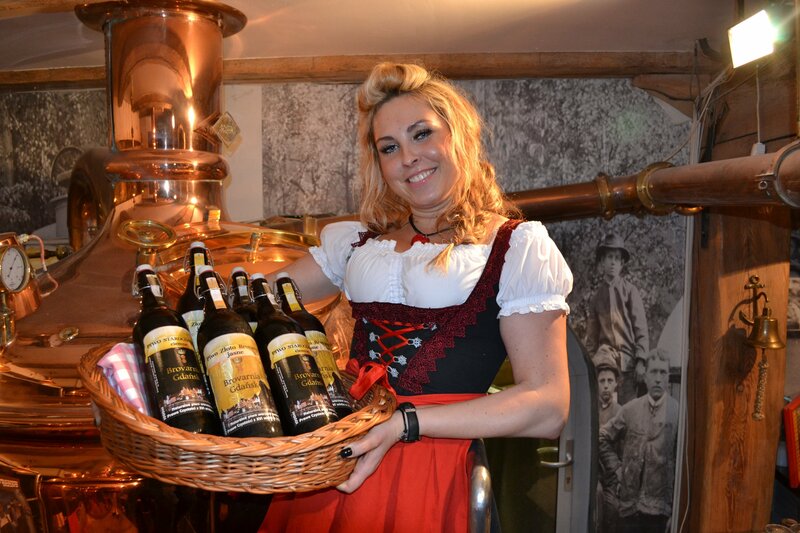 Brewing of the Chocolate beer is each time an occasion to promote unconventional culinary fusions. So far we served it with roasted cocoa seeds and a specially selected kind of dark chocolate.